Loan which is used for personal needs is called Personal Loan. It helps to meet the needs like Investment, Holidays, Wedding Expenses, Medical Expenses, Business, Consumer Durables, etc. Personal Loans require some documents, such as a proof of residence, qualifying income level and job or business stability. Personal loans start from as little as 25,000 and go as high as 20 lakhs. Interest rates on personal loans vary wildly between banks and also depend on the income and job stability of the customer. For a personal loan it is always advisable to talk with multiple banks. The easiest way to do this is to apply using an online service which will get you quotes from different banks. These loans are used by the people for meeting the needs of the family members and also for their own needs. These are the loans which are secured as well as unsecured; basically this term is very common. Everyone is taking the loans for the sake of buying the durable and as well as perishable goods. Durable goods are those which are long lasting in nature and their lifetime is longer than of the perishable products. The people are also taking loan for buying the services also like the services of doctors etc. 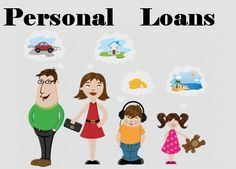 Personal loan is the money which the person gets from the bank and after getting the amount one is liable to go for regular payments on monthly basis. 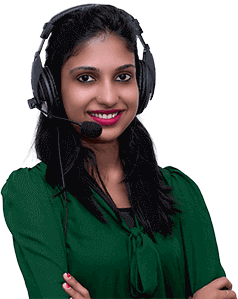 This loan is used for the personal purposes of the person, one can use this loan for any maintenance work, or one can get the loan to meet the emergencies of day to day. These are the loans in which you need to return the amount of money borrowed, along with the interest, in monthly installments over a pre- assigned period of time. This is the most popular kind of loan and people normally opt for this kind of loan. These loans require you to pay installments over a set period of time along with a relatively greater amount of money at the term-end. You must ensure that your income level does not decrease during the loan term so that you can afford to meet the ‘balloon’ amount in the end. This type of loans involves payment of the whole amount of money taken as a loan, along with the interest rates, at a certain date in the future. Personal loans allow us to overcome an acute financial crisis, and prevent the necessity of mortgaging the home, jewelry or other such prized possessions in order to meet the immediate fund requirements. They help one to keep their family and assets secure while overcoming unavoidable circumstances, without suffering excessive loss.